It’s endorsement time again, and BerniePDX needs your input! 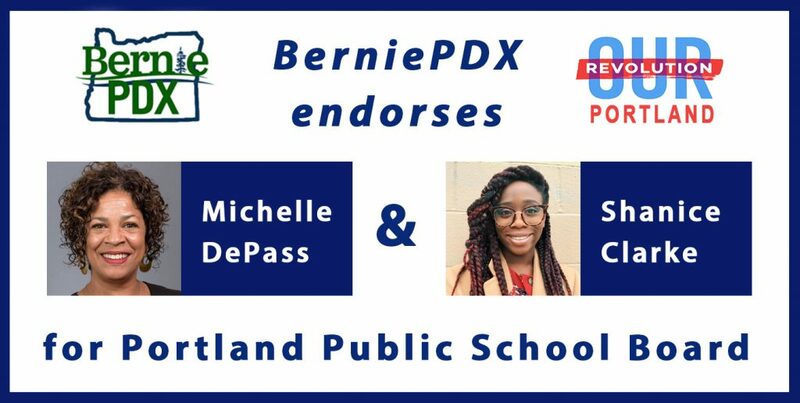 We’re excited that two great women of color, Michelle DePass and Shanice Clarke, are running for Portland Public School Board (Zone 2) in the May election! Both candidates requested a BerniePDX endorsement, and we need you to vote on who we should endorse. Click here to learn about the candidates, read their responses to our questionnaire, and cast your vote! Voting ends April 15.